As horse lovers ourselves we also strive to offer Eggbutt Snaffle Bits made of exceptional quality which are made to last. This French Link Flat Ring Eggbutt Snaffle Bit has extra control as the bit fits to the shape of the mouth and gives the horse more mouth space. The Eggbutt Bit also keeps the mouth piece stationary on the ring and prevents pinching of the mouth. The link also reduces the snapping action of the jointed ring and mouthpiece relationship. This Horse Snaffle Bit measures 2 1/2'' rings and 11mm mouth. 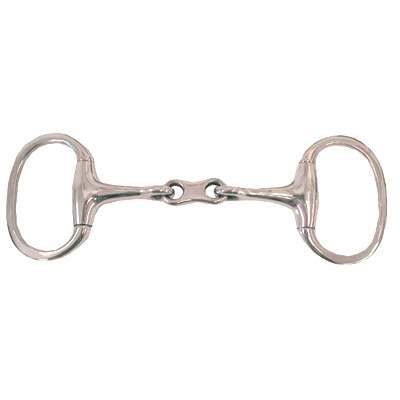 This Eggbutt Snaffle Bit is also made of pure solid stainless steel which will last a lifetime.